Richard Markus talks about tikkun olam - repairing the world- and what it means to him. And lucky for us, his volunteering continues to this day. In addition to his work through the Federation, Richard volunteers for the Isaiah House, offering compassionate care to the terminally ill, and he chairs Rochester's Child, serving early education needs for inner-city kids. He also tutors elementary school children at School 35 in the city. One of Richard’s most memorable volunteer experiences came about in the early 1990’s when as the chair of Rochester’s Operation Exodus committee, he had the opportunity to visit a small Jewish village in the mountains of Azerbaijan. 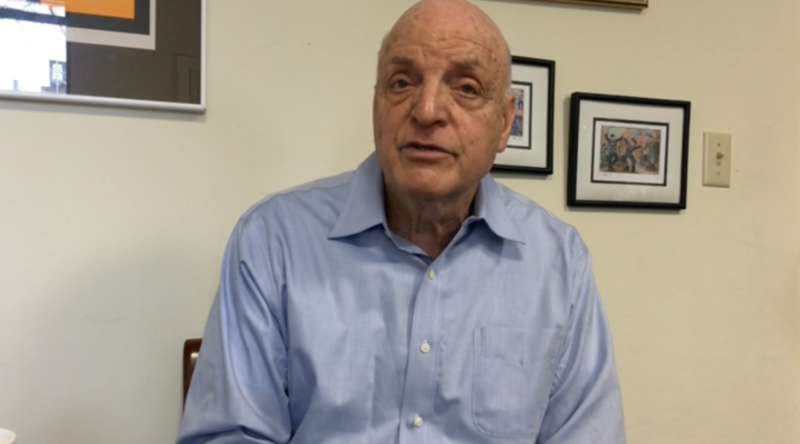 A few years before, in 1987, he had been part of the Rochester contingent taking part in the UJA Federation’s March on Washington, where over a quarter of a million people gathered to call for freedom for Soviet Jews. Azerbaijan was a predominantly Muslim republic in the Soviet Union, and by the time Richard traveled there, nearly a third of Azerbaijani Jews had already been resettled in Israel or the United States. With so much variety of volunteering experiences over the years—both locally and internationally—Richard has some great insight for anybody looking to get into volunteering for the first time. Wisdom, like volunteering, never gets old.